The faculty and staff in the Department of Information Technology and Management are excited that you will be joining us this fall. It is mandatory for new students who have not yet registered for classes to consult with their assigned advisor. Students will get information on classes, course advising, and PIN for registration. Each undergraduate student is assigned an academic advisor who is a faculty member in their major. Academic advisors are also available to discuss opportunities and career plans in the student’s chosen field, as well as to plan and approve coursework that meets department and university requirements. ITM Undergraduate advising is available individualy with Ray Trygstad or Jeremy Hajek. To schedule an appointment with Ray Trygstad please visit trygstad.rice.iit.edu/appointment/. To schedule an appointment with Jermey Hajek please email hajek@iit.edu. ITM graduate advising is available individually with Ryan Nelson. To schedule an appointment with Ryan Nelson please email nelsonr@iit.edu. The Undergraduate Bulletin is the official source for courses and degree requirements. Within the Bulletin, you will find all ITM course offerings, degrees, and minors. Minors consist of at least five courses (minimum 15 semester hours), are optional, and are frequently cross disciplinary. Since they provide a coherent set of ideas, concepts, and educational experiences in a variety of areas, students may find that they enhance potential for professional development. Students who wish to pursue a minor must consult with advisors in their respective major departments. Courses used to satisfy general education or major requirements do not apply to a minor. Exceptions may be made in individual cases. NOTE: Not all minors are applicable to all majors. You can find a full list of minors in the Undergraduate Bulletin. One of the most important resources within the blog is the ITM Undergraduate Student Handbook. This document outlines the policies and guidelines for which ITM students are expected to adhere. Outlined below are sections that we would like to highlight as they are of significant importance. All new, incoming students are expected to be on campus by Friday, August 11, 2017 to participate in Welcome Week Activities. Students are expected to attend SOAR, a 2-day new student orientation program, because it leaves them better prepared to achieve academic success and assists in their transition to the university environment. This is also a great time to begin creating friendships with other incoming and current Illinois Tech students, as there are many opportunities for socializing during SOAR including a trip to the BOG, our on-campus activity center where you can enjoy a game of bowling, table tennis, video games, and more! If you are a transfer student there is a program geared specifically to you. You are only required to attend the one day session, but are welcome to come to any of our two day sessions too! We will provide all the information available at regular SOAR sessions simply condensed into a version more helpful for transfer students. It is important to attend SOAR at Illinois Tech because although we recognize you may have had an introduction to college somewhere else, there are many services and expectations unique to the culture of Illinois Tech that are important to learn before your arrival. All incoming undergraduate students (first-year and transfer) are assigned a Peer Mentor. 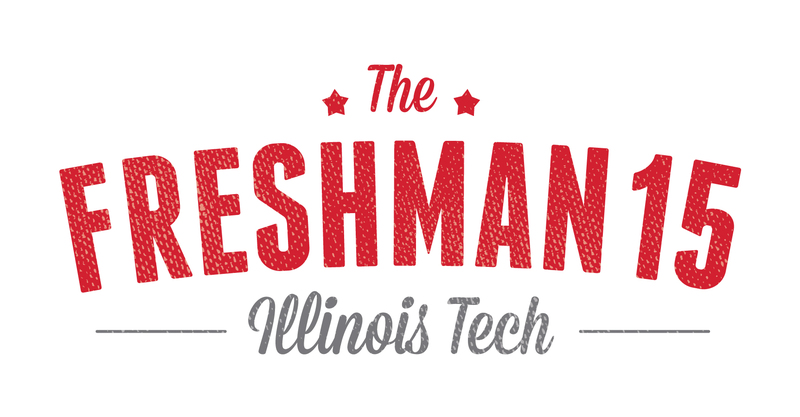 Mentors are upperclassmen students who have attended IIT at least one full academic year. This mentor is your connection to student life at IIT. Students are encouraged to meet with their mentors at least twice a month, but maintain contact with them throughout their first year. Each Peer Mentor is given a budget to program events both on campus and in Chicago. Past events include ice skating in Millennium Park, attending Blue Man Group, Finals Week Movie Night, and the annual You Survived! end of year celebration. All first year students (including transfer and exchange students) will get their Peer Mentor's contact information during SOAR. You will hear from your Peer Mentor during the summer, and have the opportunity to meet them during Welcome Week at the Peer Mentor Meet and Greet and the New Student Day of Service. At the beginning of each semester, the Office of Campus Life releases a list of 15 DON’T MISS programs for the semester. These events were selected specifically for their relevance to first year students and acclimation to life on campus. From campus-wide traditions, to cultural gatherings, to Bog events - there’s something for everyone! Students who attend these events will be rewarded based on how many programs they attend per semester.